Solutions - TAV Networks, Inc. 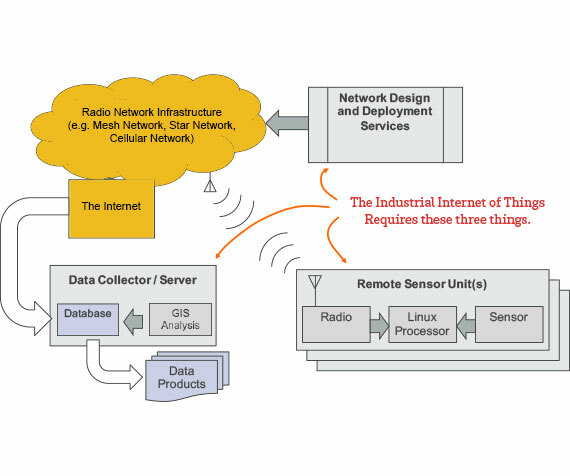 The Industrial IOT (Internet Of Things) integrates intelligent remote sensors, communications, and cloud-based data collectors / servers. Implementation requires network design and deployment, and field engineering services. TAV Networks specializes in the technical and service disciplines required for Industrial IOT applications. TAV Networks UtiliSat™ combines satellite connectivity with software, sensors and security hardware to ensure that you know how these assets are functioning within your network and whether they are safe and secure. Meters, substations and other remote assets located in even the most remote areas can communicate to your network with UtiliSat™. UtiliSat™ has you covered. 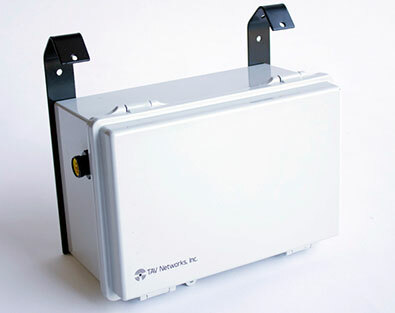 VoltSense™ Voltage Monitor is an affordable Power Monitoring Solution for the Utility Industry. The TAV Networks VoltSense™ is a comprehensive hardware/software head-end solution applicable to multiple use cases, where data is captured, sent to SensorConnect™ Analytics Head-End and processed to support specific applications, as required by the Utility. 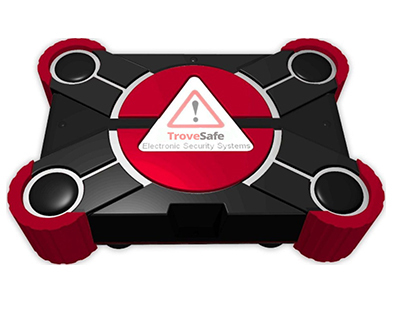 TroveSafe™ Alarm System is designed to provide extreme cargo protection and to help prevent loss due to theft for the Trucking Logistics Industry. The alarm system secures container cargo doors and reduces theft complications with verifiable log data or prevent thefts altogether. Cargo owners can manage single or multiple alarms using the cloud-based SensorConnect™ asset management software. 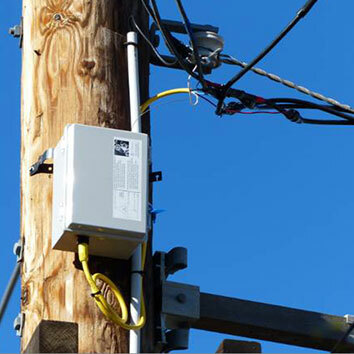 TAV Networks offers novel solutions to monitor and protect remote substations and other remote assets. 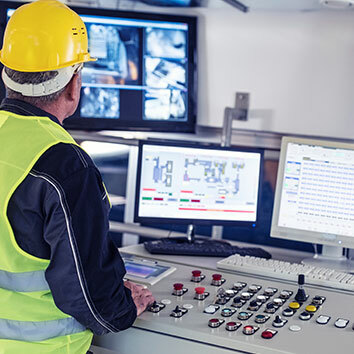 Our customized solutions address needs such as physical security, remote video surveillance, monitoring of power quality, and provision of multiple communication paths to achieve enhanced availability. TAV Networks develops specialized intelligent sensors for new applications that require custom engineering. A recent project involved high speed measurements of power quality to determine momentary voltage fluctuations preceding a power outage. 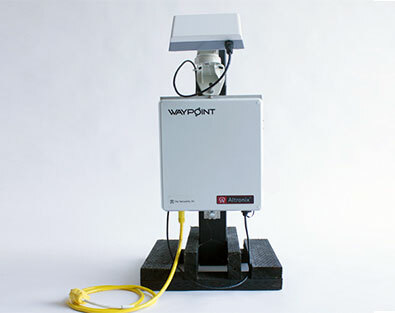 A head end software data collector that employed the cellular data network was also developed for this project. Units were designed and fielded within 4 months of receipt of contract, and performed in the field as expected. TAV Networks can deliver complete specialized solutions for DA applications. TAV Networks develops communication modules that enable IOT sensors to be connected with the selected communications infrastructure. We’ve integrated sensors to 900 MHz mesh networks and cellular data networks. We are development partners with several well known suppliers of mesh and cellular communication infrastructure. 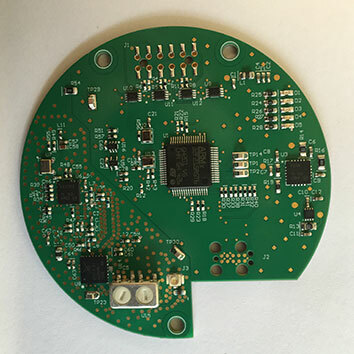 As RF design experts, we can assure that our Radio Network Interface Cards and antennas are delivered on schedule and with the anticipated RF performance.